It may be springtime, but I’ve been rocking the crock pot all week, you guys. You see, yet again my old oven is broken, and that is not so rad for someone in the middle of developing recipes. Luckily I still have my stove top, my grill, and oh yes, a lovely crock pot. Another awesome thing that happened is my co-worker brought me a shitton of lemons from her aunt’s tree. While I was tempted to make cakes, pies, bars, cookies, and more sweets like that, instead I had to go no-bake. This is one reason for the lemon chicken, and also the reason in my new book you’ll see a recipe for gluten-free Limoncello. I’m also doing some lime experimentation, which I highly recommend. It’s like Sprite, but it will get you drunk. I’m assuming. I do have to say this is a great family recipe. Which is to say, not a “I’m trying to impress my date,” recipe. It’s great, it’s solid. It’s just sometimes I have a hard time getting excited about chicken breasts. In fact, I’ve been known to turn up my nose and abandon a chicken breast dinner. Clearly, the ’80s taught me nothing. 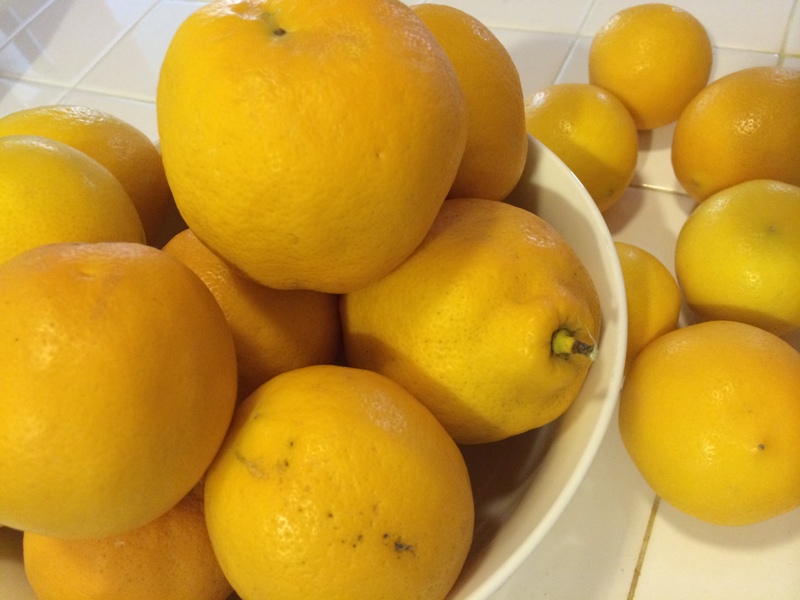 But honestly, this was a crowd pleaser, super easy and a freaking fantastic use of lemons. 1. Combine oregano, sea salt and pepper. Rub over chicken breasts on all sides. Melt butter in a large skillet, and brown chicken on each side, approximately 5 minutes per side. Remove chicken from skillet and place in crock pot. 2. In same skillet, add water, bouillon cube, lemon juice and garlic. Allow to cook to boil, then remove from heat. Cover chicken in crock pot with mixture and cook for 6 hours on low. 3. Prepare gluten-free spaghetti according to directions. 4. Remove chicken from crock pot and slice with the grain. Serve over gf spaghetti, and a tablespoon or so of remaining liquid in crock pot according to taste. Top with grated Parmesan. 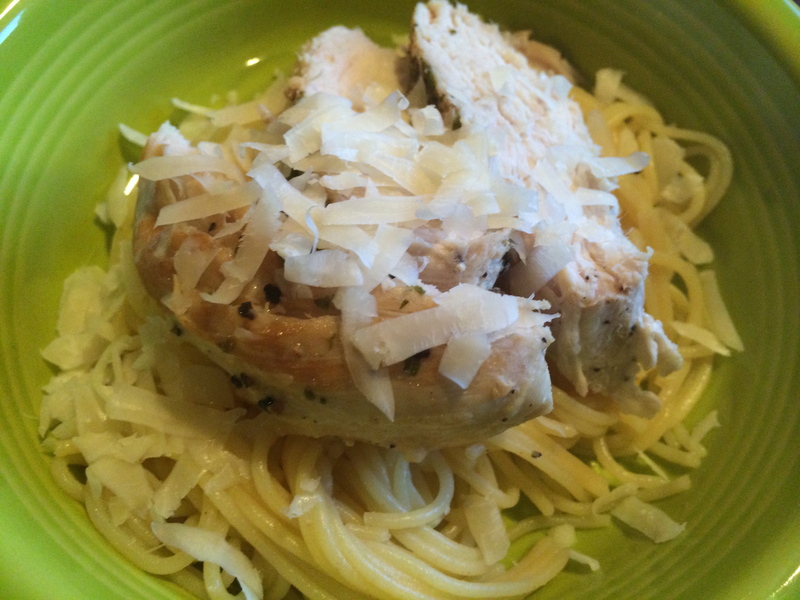 Tags: gluten free pasta, gluten free recipe, gluten-free chicken, gluten-free crock pot. Bookmark the permalink. It was pretty darn good. Leftovers too!